Wilson, David McKay. 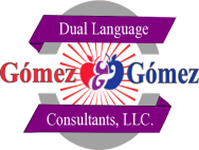 "Dual Language Programs on the Rise." Harvard Education Letter, March/April 2011. Solis, Dianne. "Dual-language programs growing in Dallas-area schools, across state." The Dallas Morning News, February 25, 2012. "Texas Leads National Restructuring of Bilingual Education." Fox News Latino, March 4, 2012. "Why Dual Language Education?" Tu Revista Latina Magazine, Fall 2012. Callahan, Rebecca. "Bilingual students are economic gold." The San Antonio Express News, January 31, 2015. Dickerson, Brett. "OKC Public Schools work to close language gap." Oklahoma Gazette, August 21, 2015.